Welcome to the Performer and Workshop Presenter Registration Page! Want to help make Vancouver Island Pagan Pride Day 2018 a memorable event? We are looking for pagan-friendly musicians, singers, dancers, belly dancers or any other performers! Share your talent with a laid-back, but enthusiastic audience at Pagan Pride Day on August 11th at the Sooke Region Museum! Workshop presenters in the past have given talks on shamanism, astrology, ritual invocation, sacred plants, using healing language and many more! Readers and healers, attending as vendors, have also presented workshops on their special topics. Share your gifts with knowledge seekers on Pagan Pride Day! 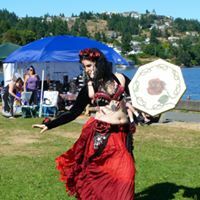 The Vancouver Island Pagan Pride Day committee approves all performers and workshop presenters. Please know that as a volunteer run event, our budget is small, however, we do have some funds available for honorariums. You will be notified by email if your application has been accepted. Thank you for your interest and support!